This study of management succession is the second of two articles dealing with the events that occurred at a state mental hospital following a change of superintendents. In the first article we explored the ideological elements of the accompanying intrastaff controversy.1 In the present study we are concerned with the interaction of social structureand executive personality in determining the successor's role. This is in contrast to most previous studies of management succession, which have been focused primarily on sociological factors. Conceptually, this study is part of a recent trend toward the inclusion of personality in studies of occupational roles and organizational processes.2 We shall consider one aspect of an executive's personality, namely, his administrative style. We shall introduce the concept of tight and loose administrative styles in order to understand more fully the successor's behavior and subsequent events in the life of the institution. 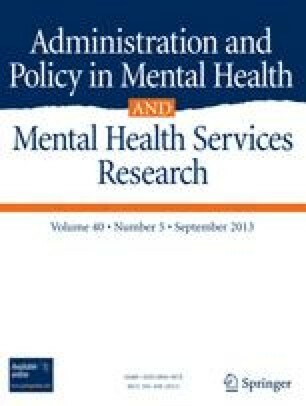 “Management Succession and Administrative Style,” by Joel Kotin and Myron R. Sharaf was originally published inPsychiatry: Journal for the Study of Interpersonal Processes in August 1967. We have now asked the authors to examine their article in the light of developments in the field since that time and share their reactions with our readers. With permission of the publisher, the original article is reprinted below. “Management Succession Revisited” follows. Dr. Kotin (M.D. Tufts 67) is an intern at Memorial Hospital of Long Beach, Long Beach, California. Dr. Sharaf (Ph.D. Harvard 60) is Director, Center for Sociopsychological Research and Education, Boston State Hospital, and Assistant Clinical Professor of Psychology, Department of Psychiatry, Tufts University School of Medicine.